I'm a big Cath Kidston fan but until recently I hadn't tried anything from their toiletries range. I chose the mini hand cream tubes as they're ideal for popping into your handbag so you can use them throughout the day. I was attracted by the cute pastel coloured polka dot packaging. These mini hand creams are the perfect way to try out the range of fragrances. The three tubes each hold 30ml and come in a wild rose, bluebell and honeysuckle scent. The hand creams felt very moisturising and I didn't need to use a lot each time. They left my hands feeling soft and smooth and smelling sweet. This set of 3 x 30ml shower gels share the same fragrances as the mini hand creams. Their flight friendly size makes them ideal for taking away on holiday. 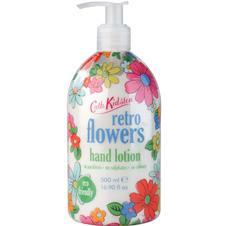 Add a touch of vintage style to your bathroom or kitchen sink with this retro inspired hand lotion. 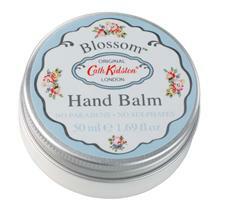 It contains shea butter and sweet almond oil to keep your hands moisturised and is floral fragranced. 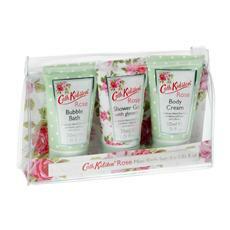 This set contains a mini 30ml bubble bath, body cream and shower gel. The rose scent is a rich floral fragrance featuring soft rose infused with Italian orris, white amber and tonka beans. 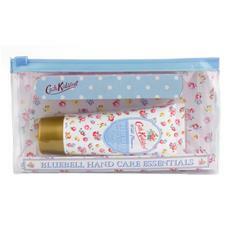 The set includes a 75ml bluebell fragranced hand cream and polka dot design emery board packaged in a reusable zip top bag. It's an ideal kit for keeping in your handbag. An intensive moisturising and nourishing blossom fragranced balm which contains shea butter to leave your hands super soft. Its 50ml size makes it perfect for popping into your handbag or taking away on holiday. Have you tried any of these Cath Kidston products before? I'm allergic to most highly fragranced things so I've never tried the range, I am tempted to get it for packaging alone though! I love Cath Kidston, the packaging is so beautiful! Really good prices too. I have the wild rose hand cream in my handbag at the moment! 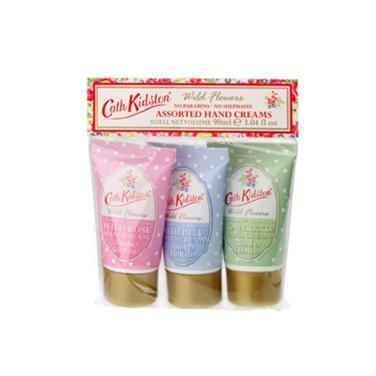 its amazing, i have a few other cath kidston products I haven't tried yet! Aw I really have a thing for bath and cream products. Thanks for the sweet comment on my blog - would you like to follow each other? Cath Kidson have the most gorgeous products! They remind me of your blog - the polka dots / cute patterning! Ive recently just got some makeup brushes for my birthday which I'm <3 about! The hand creams sound lovely too! Ah I have some of these handcreams but yet to try them out as I'm not overly keen on anything too heavily rose scented! May give them a try though, especially now that you mention it! I love Cath Kidston, I've never tried any of their products I'll have to give them a go one day! !!!!!!!!!!!!! I want them all, Caroline! The packaging is so darn tooting adorable. I fall for such pretty stuffs! Oh i love the packaging - very retro and so sweet. Andit`s nice that the products do their job as well! I love anything Cath Kidston! I adore the mini hand creams and shower gels, except I'm not so sure about the Bluebell gel... However, the rose hand cream is one of my all time faves!